WILLEMSTAD - Cars and Coffee Curacao is a gathering of auto enthusiasts where hundreds of proud drivers will congregate to kick tires and have a cup of coffee. There will be something for everyone to enjoy; classics, exotics, concepts, hotrods, motorcycles and motor-sport. And it's all free, minus the coffee of course. This year the Cars and Coffee celebrated Mustang’s 50th anniversary. 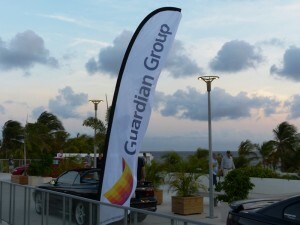 This event took place at the Curacao Beach Boulevard (BLVD) and was organized and sponsored by Guardian Group (Fatum).